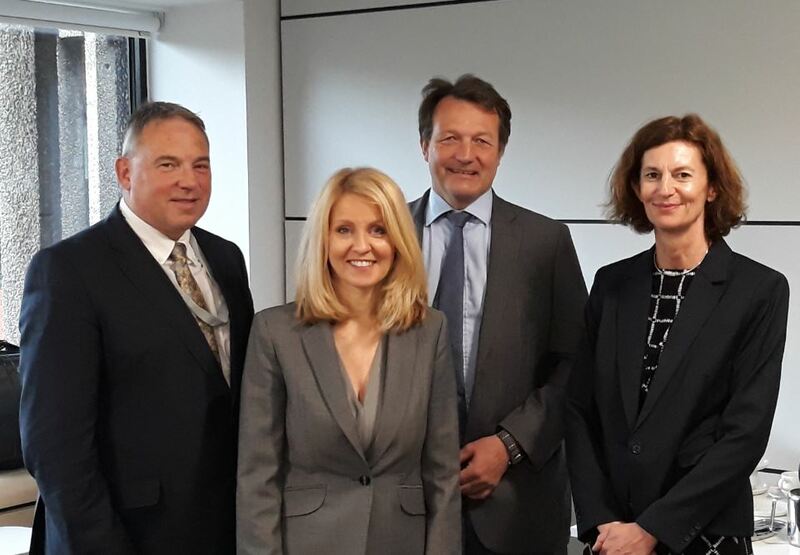 Secretary of State for Work and Pensions, Esther McVey, was in the West of England today to meet regional businesses and talk about their skills needs. Photo attached shows (from left): West of England LEP Chair, Professor Steve West; Secretary of State for Work and Pensions, Esther McVey; David Brown, LEP Board Member and chief executive of Bristol Port; Patricia Greer, chief executive of the West of England Combined Authority and Local Enterprise Partnership. The Chairman of the West of England Local Enterprise Partnership, Professor Steve West, and chief executive of the West of England Combined Authority and Local Enterprise Partnership, Patricia Greer, also met with the Secretary of State. Prof West said: “We are an economically successful region where businesses start, grow and thrive in high numbers – but there are still significant skills gaps in some areas, and business must work with government, at regional and national level, to address these.